All of our monthly programs are FREE for MPPA members. If you have never attended an MPPA class or convention before, ask a current member about bringing you as their guest for free! All other non-members are asked to contribute $35 to attend. Simply register online or pay at the door. Join the MPPA and enjoy the many benefits of membership! Our Annual Convention is always the 3rd weekend of March! Our members enjoy a discounted convention pass. Register for the 2018 convention today! We hope to welcome you at our next event! 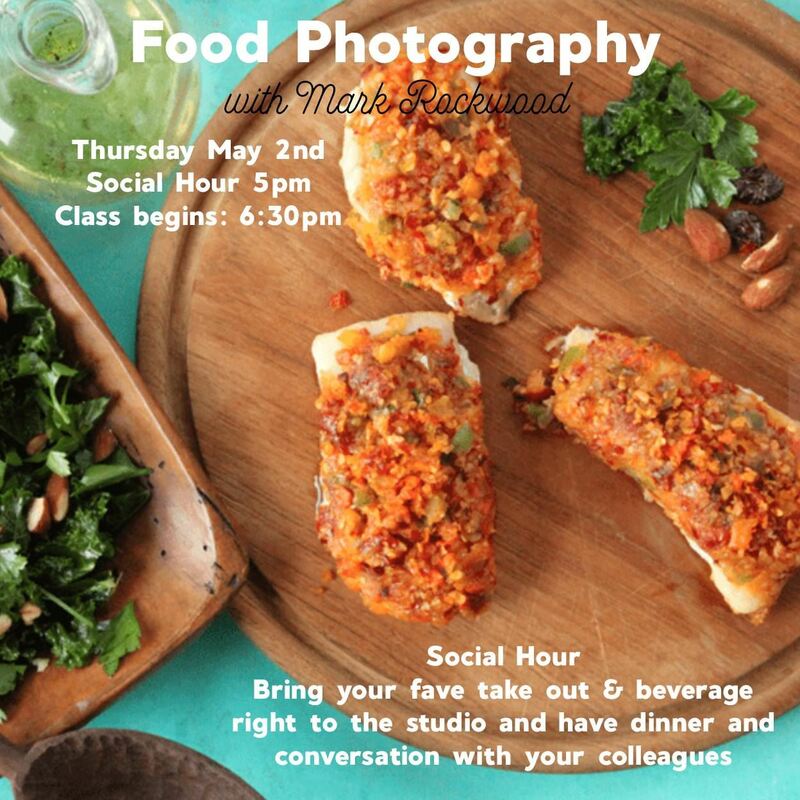 Please join us at Mark Rockwood's studio space in Westbrook for this in depth monthly meeting on how to utilize studio lighting to create daytime lighting, even in the evening! From Mark Rockwood: "With a combined photo creation experience of more than 50 years (oh my god we’re old!) Janice Dunwoody and Mark Rockwood have imagined tens of thousands of images into existence with a pile of props, a mess of lights and a product needing illustration. Food shooting is one of the areas in high demand now that Southern Maine has become Foodie Heaven. Rental studio 438 is setup to be a perfect food shooting environment with spectacular daylight and a professional kitchen. But wait…. Our program is in the evening!! No daylight available!! No worries. We will make beautiful daylight like photos in the night studio. You will get the opportunity to watch and question the process of imagining night into day with food prepped and lit on site! Take away skills you can use!"